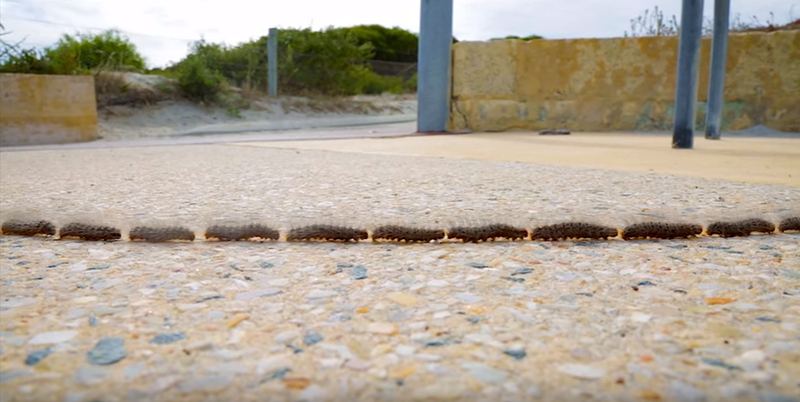 This is a short but totally worth a watch timelapse of caterpillars walking in a line. Multiple lines, actually. My favorite part is when they get in little traffic jams but then continue on their way. Kind of like real life! Except in real life when little traffic jams happen you scream and curse and it ruins your day and makes you late to work and your boss yells at you and you know what maybe we should take a lesson from the caterpillars?